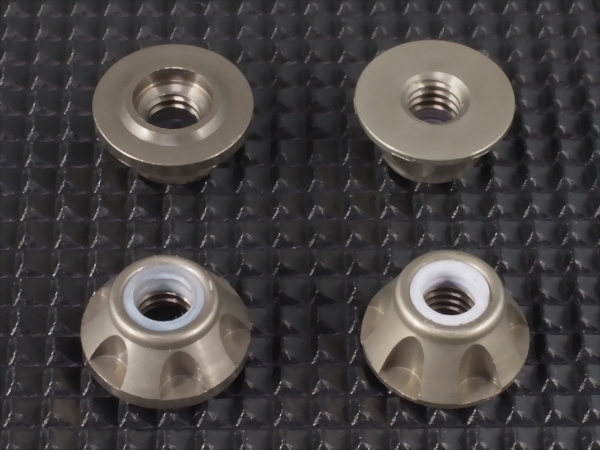 This is a 4 pc kit that includes 2 Flat Type and 2 Recessed Type Wheel Nuts. 1.Hold the wheel on your TC without the need of serrations. Serrations are not good. They damage wheels and create a score on the surface, leading to easier breaks and warping when under stress loads. 2.Allow the wheel to spin more true. A larger flange, provides more stability to the wheel when installed.